﻿This is the story of America's First Military Intervention in Hawaii. It is a story of a kingdom on the brink of civil war, of betrayal and coups and an overthrow, of a sister who tried to unseat her brother, of royalty against royalty, and how the U.S. Marines were called in to quiet things. And yes, the year was 1874 - not 1893 as most have been led to believe. Early that year, Frank and Jesse James with a small gang robbed a train at Gads Hill, Missouri. Then later that year, the James Gang took a train at Muncie, Kansas. That was the year that Levi Strauss started marketing blue jeans with copper rivets, the price was $13.50 per dozen. And yes, back East in New York City, William Marcy "Boss" Tweed of Tammany Hall was convicted of defrauding the City of New York out of $6,000,000 (Six Million Dollars). Can you imagine Tweed was sentenced to 12 years in prison for his crime? Even back then, money could buy you political power and favorable judgements. That year saw the Texas State Capitol turned into an armed camp with two rival legislatures. The outgoing Texas governor refused to surrender his office. Then when President U.S. Grant refused to support the outgoing governor's request for troops, he conceded and the new governor was inaugurated. In 1874, Comanche Chief Quanah Parker and a Medicine-man to known as Esa-Tai, (literal name, "Coyote Dung") were defeated at Adobe Walls where one of the defenders was a man that the Old West would come to know as Bat Masterson. It was the year that Joseph F. Glidden patented barbed wire, which later led to range wars and the spilling of blood across the West. And yes, it was when law officers killed Jim Reed, who was the first husband of Myra Maybelle Shirley. She of course was better known as the famous bandit queen Belle Starr. Also on the continental United States, in a small town called Comer in Alabama, the White League - a racist group that like the Ku Klux Klan comprised of white Democrats - formed an armed mob and killed at least seven black Republicans and a white Republican judge's son. The attack injured at least 70 more and drove off over 1,000 defenseless Republicans from the polls, and coincidentally became known as the Alabama Election Riot of 1874. As for what else was going on that year of interest to Americans? Well, how about going to Hawaii? In 1874, Americans saw the first time U.S. Marines would land in Honolulu, Hawaii. In that circumstance, the Hawaiian government needed American Marines to protect a Hawaiian King. Needed U.S. Marines? So you were taught as many of us were that American Marines were only used as the imperialist muscle of the United States? You too were told that Americans took advantage of a chaotic situation in Hawaii, seeing it as opportunity to overthrow the Hawaiian government, and cobbled up the island nation? Well, I was taught something different than today's rewrite of what took place. A lot of people know about, or have heard of, the time when United States sent its Marines ashore in Hawaii in 1893 during the coup that overthrew Queen Liliukalani. The involvement of the Marines during the overthrow of the Queen in that coup d'etat by her cabinet and prominent businessmen there at the time has always been a point of contention since it happened. Some say they assisted in the coup, others like myself disagree and believe that the U.S. Marines who parked themselves across from Iolani Palace were there simply "on standby" in case history repeated itself. Yes, in case Hawaiian history repeated itself. Though it was a "bloodless" coup, the fact is that Queen Liliuokalani was overthrown and a Provisional Government was established. And as for the role of the U.S. Marines, well I believe they were there to do as they had done once before in Hawaii during another episode where the Hawaiian government was in turmoil and the Hawaiian government requested American help. In reality, the 1893 use of the United States Marines was the second time U.S. Marines were involved in settling a Hawaiian political problem. Fact is, that if it weren't for United States Marines, there might not have been Hawaii's most beloved Merrie Monarch - King David Kalakaua. This is the story of how the new Hawaiian King, David Kalakaua, the King-elect of the Kingdom of Hawaii, needed the United States Marines. When King Kamehameha V, the last ruler of the House of Kamehameha died on December 11, 1872 without naming a successor, the Kingdom of Hawaii faced a political crisis. 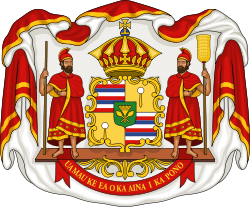 Under the Kingdom's 1864 constitution, if the king did not appoint a successor, a new king would be elected by the legislature from the eligible Hawaiian royals still alive. 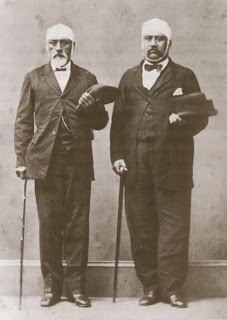 The election was between William Charles Lunalilo and David Kalakaua. David Kalakaua was born David Laamea Kamanakapuu Mahinulani Nalaiaehuokalani Lumialani Kalakaua on November 16th, 1836. His lineage went back to many High Chiefs. Kalakaua was the second surviving son of his father High Chief Caesar Kaluaiku Kapaakea and his mother High Chiefest Analea Keohokalole. When David Kalakaua was a child of four, he was returned to Oahu to live with his biological parents and begin his education at the Chiefs Children's School. At the Hawaiian school, David Kalakaua became fluent in English and the Hawaiian language which was already being replaced by British English. He began studying law at the age of 16, but because of his various government positions, he was prevented from fully completing his legal training. Instead, by 1856, he was a major on the staff of King Kamehameha IV. In addition to his military duties, Kalakaua served in the Department of the Interior - and in 1863, he was appointed postmaster general. He had also led a political organization known as the Young Hawaiians. The group’s motto was "Hawaii for the Hawaiians." Lunalilo was the more popular of the two. His grandfather was Kalaimamahu, a half brother of Kamehameha The Great and was thus a cousin of King Kamehameha V. His grandmother was Queen Kalakua Kaheiheimalie, sister of Kamehameha’s favorite wife, Queen Kaahumanu. Because of this, many people believed the throne rightly belonged to Lunalilo since the only person more closely related to Kamehameha V, was Bernice Pauahi Bishop who made it clear that she did not want the throne. Another contender was Princess Ruth Keelikolani who was a half sister to King Kamehameha V. She was a favorite among the Hawaiian Chiefs because of her adhering to the old Hawaiian ways. She was governess of Hawaii and refused to speak English even though she was fluent in it. This left Kalakaua and Lunalilo, and of the two, Lunalilo was greatly favored. In fact, Lunalilo's popularity was so great that some people believed that he could have simply walked into the capital and declared himself King. Lunalilo, however, insisted that the Hawaiian Constitution be followed. It is interesting that King Lunalilo, unlike Kalakaua, wanted to amend the Constitution to make the government more democratic by removing property qualifications for voting. Land and property qualifications stopped a lot of Native Hawaiians from voting in the future. It was decided that there would be a popular election to give the people a chance to have their voices heard. However, because the constitution gave the legislature the power to decide who would be the next king, the popular election would be unofficial. Lunalilo urged the people of the Kingdom to have their voices heard and the election was held on January 1, 1873. Kalakaua was much more conservative than his opponent, Lunalilo. At the time, foreigners dominated the Hawaiian government. Kalakaua promised to put native Hawaiians back into the Kingdom's government. He also promised to amend the Kingdom's constitution. On January 1, 1873, a popular election was held for the office of King of Hawaii. Lunalilo won with an overwhelming majority. The next day, the legislature confirmed the popular vote and elected Lunalilo unanimously. Kalākaua conceded. Lunalilo won by an overwhelming majority. And yes, right after Lunalilo was voted in as King, it was speculated that the reason for the unanimous vote was because each legislator was required to sign his name on the back of his ballot. The Hawaii Legislators were afraid to go against the wishes of the people. Queen Emma later wrote in a letter that hundreds of Hawaiians were ready to tear to pieces anyone who opposed Lunalilo. William Lunalilo was elected as King, and was very popular with the people. He spent his reign trying to make the Hawaiian government more democratic. And yes, because the Kingdom was in a economic depression mainly due to a rapidly declining whaling industry, he wanted to improve Hawaii's economic situation. Commerce groups asked King Lunalilo to look at sugar to improve the economy and recommended that a treaty be drawn with the United States to allow Hawaiian sugar to enter the U.S. tax-free. To make such a treaty, many thought that the Kingdom would have to offer the Pearl Harbor area to the United States in exchange. The U.S. did not want a port, but did want a coal refueling station. This was the era when steam power were replacing sails. Though negotiations started under his predecessor, there was much controversy over the coal station, and he subsequently dropped the proposal. During Lunalilo's reign, a Mutiny took place in the small Hawaiian Army.The King intervened and actually interviewed the troops involved in the Mutiny to persuade them to lay down their arms. Following this, the king disbanded the army. From that point on, the Kingdom had no armed forces until the person who replaced him restored them. After only one year and 25 days, King Lunalilo died on February 3, 1874, from tuberculosis at the age of 39. It is said that Lunalilo did not designate an heir to the throne because he wished to have the people choose their next ruler. However, the constitution of 1864 had charged the legislature, not the people, with the task of electing the next king. So again with no successor named, again a crisis was at hand. Therefore, the elections were held by the representatives not the public. Please understand that Hawaiian elections never included Hawaiian people -- just the members of the Legislative Assembly -- the Chiefs. The Royal Election of 1874 was held in Hawaii on February 12, 1874. It was the second time an elections for head of state was held. Now the stage was set for another election. This time the Hawaiian electoral process began with Queen Emma, the widowed wife of Kamehameha IV, running against Kalakaua. 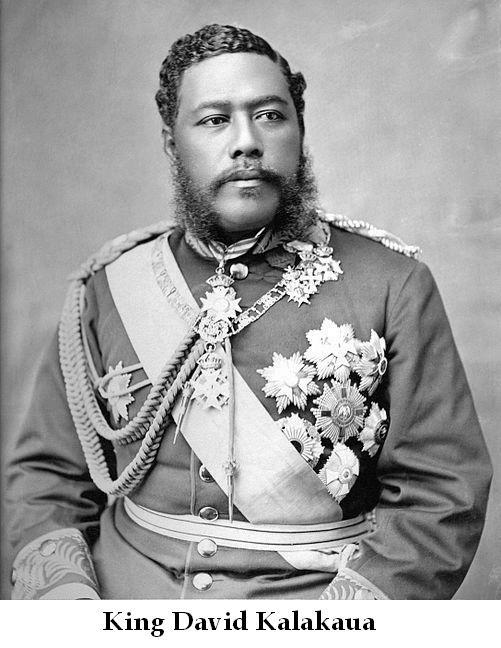 The day after Lunalilo died, Kalakaua declared himself candidate for the throne. The next day Queen Emma did the same. And that, that was when the animosity which was brewing between the Kamehamehas and the Kalakaua houses went public. The Hawaiian Election of 1874 was mud slinging at its best. That election makes today's American elections look absolutely civil and polite. Leading up to the elections, businesses and political interest, the newspapers of the time, and early political parties developed strong opinions and the public was divided between the two candidates. To give an example of how horrible it had gotten. 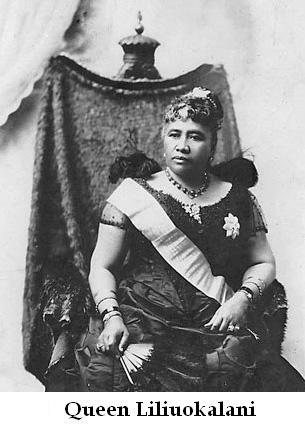 Queen Emma, her full name Emma Kalanikaumakaamano Kaleleonālani Naea Rooke of Hawaii, was Queen Consort of King Kamehameha IV from 1856 to his death in 1863. At one point David Kalakaua and his sister Lydia Kamakaeha, who herself would become Queen Liliuokalani, criticized Queen Emma's claim of descent from Kamehameha's brother and subsequently the Kamehameha bloodline - as false. Imagine the animosity here, the Kalakaua family questioned who her parents were. They charged that Emma had Caucasian blood and it made her unfit to be King Kamehameha IV's bride, nevertheless a Hawaiian Queen. Emma was born on January 2, 1836 in Honolulu and was often called Emalani, which means "royal Emma". Her father was High Chief George Naea and her mother was High Chieftess Fanny Kekelaokalani Young. She was adopted under the Hawaiian tradition of hanai by her childless maternal aunt, Chiefess Grace Kamaikui Young Rooke, and her husband who was Dr. Thomas C. B. Rooke. Emma's father Naea was the son of High Chief Kamaunu and High Chieftess Kukaeleiki - which of course was her grandmother. Her grandmother, Kukaeleiki, was the daughter of Kalauawa, who was a Kauai noble, and she was a cousin of Queen Keopuolani who was the most sacred wife of Kamehameha I - also known as Kamehameha The Great. Emma was educated in Honolulu at the Royal School, which was established by American missionaries. In 1856, she married Alexander Liholiho, who a year earlier had assumed the throne as Kamehameha IV. Two years later, in 1858, Emma gave birth to a son, the Haku O Hawaii, Prince Albert Edward Kauikeaouli Kaleiopapa a Kamehameha. But tragically, Prince Albert died in August 1862 of "brain fever" while under the care of Princess Kapiolani. The newspapers of the time reported the illness as "brain fever," now known as meningitis. The young Prince was only four years old. Afterwards, the King fell into despair, blaming himself for the loss of his son. The King then ordered the construction of the Royal Mausoleum in Nuuanu Valley to house his son's body, since the old mausoleum had become too full. Today, the mausoleum is burial site of most of the members of the Hawaiian royal family. The King's depression was so severe that he considered abdicating the throne. A year later, a grief-stricken Kamehameha IV, who blamed himself for the boy’s death, also died. Queen Emma would not have any more children. It was hard for me to believe that Kalakaua's sister, the future Queen Liliuokalani, would actually accuse Queen Emma of not being eligible to take the throne because of her lineage. Knowing full well that that was not the case. Politics can bring out ruthlessness in people. I guess, Queen Liliuokalani was not exempt from that rule. Fact is that Emma's candidacy was agreeable to many Native Hawaiians, not only because her husband was a member of the Kamehameha Dynasty, but she was also closer in descent to Hawaii's first king, Kamehameha I, than was her opponent. On foreign policy, she was like her husband who was pro-British. Her supporters styled themselves as "Emmaites" or "Queenites" and were made up of mostly Hawaiians and British subjects. In comparison, Kalakaua, although being pro-Hawaiian and somewhat pro-British, was leaning more toward America. His supporters were Hawaiian business interests. And since he was seen as not being anti-American, he was also very popular with American citizens in the islands at the time. She also strongly wished to stop Hawaii's dependence on American industry and to give the Native Hawaiians a more powerful voice in government, though she did not like the idea of a Republic where the people rule. She was a believer in the monarchy ruling the lower classes. Emma was a popular choice among the people, especially in Honolulu, but her pro-British views were unpopular with the Hawaiian legislature dominated by pro-American factions. Compared to Kalakaua, who was considered more sympathetic to growing power of the American business interest in the islands, she wasn't in a good place when election day came on February 12th simply because the Hawaiian Legislative Assembly -- which actually elected the new monarch -- favored David Kalakaua. Results, Riots, Revolution, And The Rebellion! On Election Day February 12, 1874, a crowd of citizens had congregated at the legislature to be informed of the results of the elections. David Kalakaua won the election 39 to 6. Yes, an overwhelming victory when you consider there are only 45 votes to be counted. Anger at the outcome, along with widespread talk of influence peddling and secret deals, the whole ordeal worked up the crowd of Emma supporters that had gathered at the courthouse into a heated state. News of her defeat raced through Honolulu like a wild fire. It triggered large-scale rioting. To say that Queen Emma was unhappy with the decision would have been an understatement. Queen Emma with her contentious pro-British supporters violently opposed Kalakaua, and she did nothing to stop them. It was February 12, 1874, and it is known as the Honolulu Courthouse Riot of 1874. In reality, it was a rebellion. And yes, some even called it a "Revolution!" "The Honolulu Courthouse Riot" took place when Hawaiian followers of Queen Emma, known as Emmaites, attacked the supporters of King Kalakaua on election day and riots broke out across Honolulu. 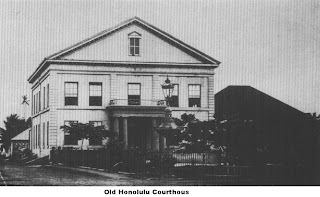 The Old Honolulu Courthouse was build in 1852 and served as the government building of the Kingdom of Hawaii where the Legislative Assembly and the Supreme Court met. It was damaged in the Royal Election of 1874 after the rioting by the Emmaites. The election proceedings were held at the Honolulu Courthouse, but from her Nuuanu Valley home, Queen Emma decided to lead an angry mob of over a hundred followers - although some say that count was low and that there were many many more than just 100 - to the courthouse. Queen Emma’s supporters, enraged by the results, attempted to punished the Representatives that voted against their candidate initiating a riot amongst this faction of the crowd. “The crowd surrounded the carriage and laid hands on them, and they attempted to defend themselves, as best they could without weapons, two of them were badly wounded before they effected entrance into the building to which they retreated.” --Hawaiian Gazette – March 4, 1874. "A riot ensued and many of the legislators were attacked, with one subsequently dying from his injuries" (wrote Mr. Lonoaea, representative from Wailuku, Maui). 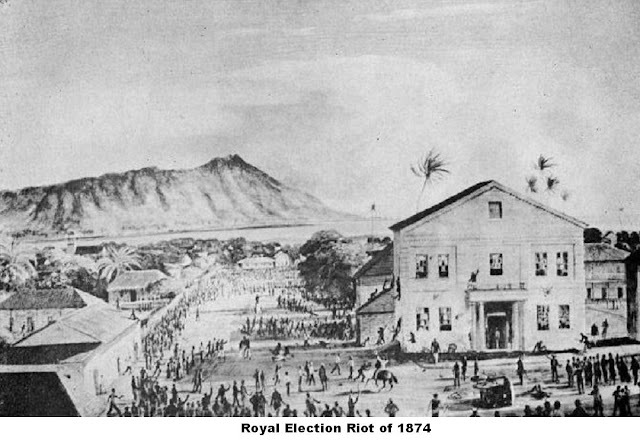 Committeemen for Kalakaua attempting to deliver the election results got into the carriage in front of the court house - but were stopped and attacked by the rioters. They fled back into the court house while being beaten with clubs and sliced with machetes. Their carriage was broken apart and the pieces were used as clubs. It was about 2 p.m. when the question was decided and Major Moehonua and another person were directed to convey the information to the King. Now the carriage that was waiting outside of the courthouse to deliver the news of the verdict to David Kalakaua, who was waiting at his home, was torn apart by an an angry mob of Queen Emma's anti-American forces and they rushed the courthouse. It all happened before the Hawaiian Electoral Committee could tell the driver to go tell the new King the news of his victory. But, somehow the word still got to Kalakaua.. So what about the Hawaiian Police? Well, when the Hawaiian Legislative Assembly was attacked, the Hawaiian Police tore off their badges and joined the rioters. It's true, Honolulu Police guarding the legislature initially held back the rioters from entering the court house but were overwhelmed. When the police were unable to stop the riot they removed their badges to save themselves from being targeted as members of the government establishment. Frankly, just because people want to say something did not happen, does not mean it did not. Whether people want to hear it or not, it is a historical fact the Honolulu police force deserted. Many of them actually joined in the riot against the new King and his supporters. And to add to the problems, many former Hawaiian Army soldiers and Honolulu police officers ended up actually fighting against each other and those trying to restore order. The rioters entered the court house beating the representatives and vandalized the offices, One Hawaiian representative was thrown out a upper story window. And yes, since the Hawaiian Army had been disbanded after a Mutiny against the officers and Royal family some months earlier under King Lunalilo, and the local militias were considered unreliable because they were filled with "foreigners" even though many of their families had been there for generations. No, there was no one to stop the riots that were spreading out of control. It was a fight about Political Ideologies as much as it was about who won and who lost. It was sort of a Red State versus Blue State situation, if you know what I mean. And yes, the King-elect was hated. Queen Emma's followers surrounded and attacked the Honolulu courthouse and then proceeded to attack the occupants of other buildings, other Hawaiians, which spread the riot throughout most of the city of Honolulu. Revolution was in the air, and when it didn't look like the riot would subside, the King-elect along with Charles R. Bishop who was Hawaii's Minister of Foreign Affairs went to U.S. Minister Henry Pierce and requested U.S. military intervention to reestablish order. It was apparent to the Hawaiian government, the King-elect and his Ministers, to their embarrassment, Hawaii was a nation that could not quell its own riot -- foreign intervention was the answer to quell what appeared to many to be the start of a revolution. Again, the Hawaiian army had been disbanded after a mutiny sometime before, and the militias were unreliable, there was nobody to stop the riot. The Honolulu police force deserted and also joined in the unrest, even fighting against each other depending on their political sympathies. Back in 1865, the United States Navy established the North Pacific Squadron to take care of America's concerns on the West Coast and the Hawaiian Islands. During those days, the USS Lackawanna was assigned the task of cruising among the islands, what was called "a locality of great and increasing interest and importance." 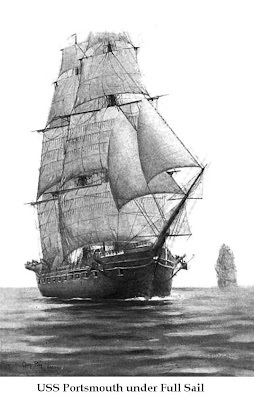 Among her assignments, the Lackawanna surveyed all of the islands and the reefs along the whole of the Hawaiian Island chain. That, my friends, means that she mapped out everything along a 1,500 mile string of more than 135 islands. In fact, on 28 August 1867, Captain William Reynolds of the USS Lackawanna formally took possession of the Midway atoll for the United States. Yes, the United States had possessions in the pacific in the 1860s. Also called Midway Island, it is about one-third of the way between Honolulu, Hawaii, and Tokyo, Japan. It is about 2,800 nautical miles west of San Francisco, and 2,200 nautical miles east of Tokyo. Midway Island became the first Pacific island to be annexed by the United States. By November of 1867, a total of 42 American flags flew over whaling-ships and merchant vessels in Honolulu harbor versus only 6 of those flying other foreign flags. This fact did not go unnoticed in Washington D.C., a harbor of that importance was duly noted. By request of the Kingdom of Hawaii, the United States Congress approved an appropriation of $50,000 on March 1st 1869 to deepen the approaches to Pearl Harbor. This was a great deal of money at the time. It would be the equivalent of about half a million dollars today. Since 1868, when the U.S. Commander of the Pacific Fleet visited the Hawaiian islands to look after "American interests," Naval officers have played an important role in internal affairs. They served as arbitrators in business disputes, negotiators of trade agreements and defenders of law and order. Periodic voyages among the islands and to the mainland aboard U.S. warships were arranged for members of the Royal family and important island government officials. In effect, the American fleet acted as the Hawaiian Royal Family's personal navy. 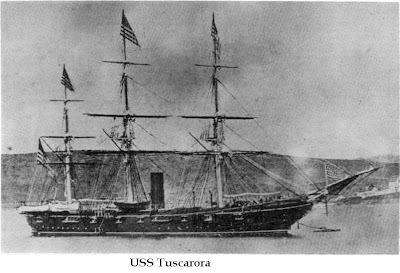 When King Lunalilo died in 1873, there were two United States sloops-of-war the USS Tuscarora and the USS Portsmouth anchored in Honolulu Harbor. Both were there in Hawaii on an expedition of negotiation to see if an agreement could be reached to allow the exportation of sugar to the United States duty-free. The agreement had been in negotiations for many years, and was definitely something that David Kalakaua supported during his campaign. He felt stronger ties with the United States would assure economic growth to the islands. It was just that simple. By Request Of The Kingdom Of Hawaii, Send In The Marines! When the Continental Congress called for the creation of the Marine Corps, the primary duty of the Marines was to serve as "Soldiers of the Sea" on board Naval Warships. U.S. Marine detachments had been maintained aboard American Navy ships since the American Revolution. 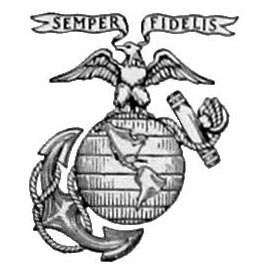 When the Marine Corps was reestablished by the War Department through the Congressional "Act to provide a Naval Armament of 18 March 1794" -- it specified the numbers of Marines to be recruited for each frigate. Marine Detachments aboard warships, just like the mission of the Marine Corps itself, was in transition in the 19th century. The Navy's transition from sail to steam put into question the need for Marines on naval warships. Meanwhile, while the politicians in Washington, D.C., wondered about what "role the Marine Corps" would have in the future, Marines served as a convenient resource for interventions and landings to protect American lives and interests overseas. This was not the first time U.S. Marines landed in Honolulu. 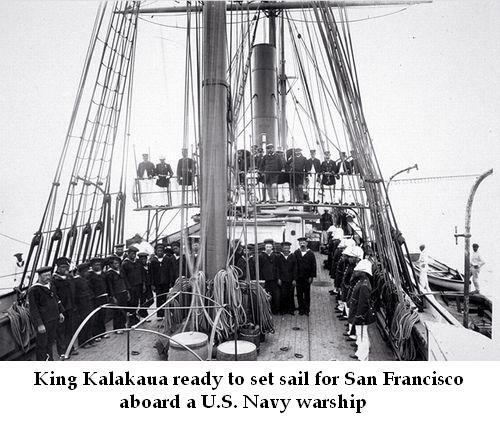 On September 21st, 1870, the United States Navy had it's first mission in the Hawaiian Islands. Believe it or not, the U.S. Navy landed Marines to placed the American flag at half mast at the American consul. It was when upon the death of Queen Kalama, who was the wife of King Kamehameha III, and the American consul in Honolulu would not assume responsibility for lowering the American flag to half mast. Imagine that! I guess that that shows that there has always been people out there who don't want to take the responsibility for things. 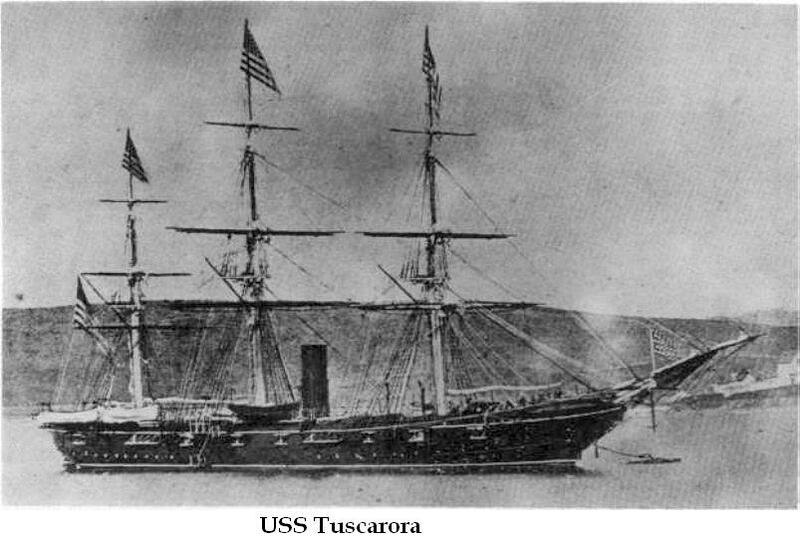 In 1874, when the call came in for help, the commanders of the USS Tuscarora and the USS Portsmouth both agreed to intervene by sending in their detachments of U.S. Marines on board. So yes, in 1874, a force of just over 150 American Marines and a handful of Sailors under the command of Lieutenant Commander Theodore F. Jewell were put ashore. They formulated a plan to work in concert with the eighty or more British troops, most likely British Royal Marines, commanded by a Captain Bay were from the sloop-of-war HMS Tenedos. American Marines headed straight for the courthouse, pushing back the rioters, and placing guards, they also occupied the city armory, the treasury, the station house, and the jail. British forces marched up Nuʻuanu Valley to Emma's house. American Marines headed straight for the Honolulu Courthouse with the objective of securing it first. Once there, that is exactly what took place with many of the rioter - upon seeing the Marines - turning to "run like rats" as one Newspaper put it. Pushing back the rioters, they then placed guards, took custody and formally occupied all of the Hawaiian government's buildings such as the City Armory, the Treasury, the Station House, and even the Honolulu Jail. The Honolulu Jail was filled with angry prisoners who supported Queen Emma. The prisoners were angry and wanted out to support Queen Emma. Believe it or not, Queen Emma was not a shrinking violent. She actually promised the prisoners that she would set them free -- but only if they supported her in her rebellion. British forces marched up Nuuanu Valley to Queen Emma's house where they dispersed a large crowd with force. After that, they went to Honolulu to join up with American Marines and man Iolani Palace and the barracks. The fighting lasting into the night. By sundown some of the rioters had been captured, but not all. Many still traveled the city in small groups trying to stir up support for Queen Emma. For a few weeks in 1874, U.S. Marines occupied and controlled all aspects of the Hawaiian Government -- and kept the Kingdom safe for King Kalakaua. Later the city was mostly quiet with the exception of sporadic gunfire and the sounds of locals looting businesses and destroying property. Yes, several people were killed or injured in the conflict including one Hawaiian legislature who died later of his injuries. And yes, many foreign citizens were killed due to attacks by mobs of Emma supporters roaming the streets. Fortunately, no British troops were lost during the conflict. And though many were wounded in the fighting to restore order, it is unclear how many American Marines were lost. During the 30 years from the end of the American Civil War to the end of 19th century, the U.S. Marines, The Corps, was involved in over 28 separate foreign interventions. And yes, Sea Going Marine Detachments on Navy ship's of war were fighting in every clime and place where they could take a gun. A sorry fact is that they would be back in Hawaii in less than 20 years -- again at the request of the Hawaiian government. Like Liliuokalani later who tried overthrowing her own brother, King David Kalakaua, Emma was never tried nor did she claim any part in the attempted rebellion or the riot. That was the case, even though all knew she supported, and in fact encouraged, the actions of her followers. Though Queen Emma was never exiled or punished by the Hawaiian kingdom or its government for her role in the riot, and rebellion, she remained at her home in the valley for several years with her followers and friends. Her idea of overthrowing the Hawaiian Government by force failed, the riot she urged on gained nothing for her. 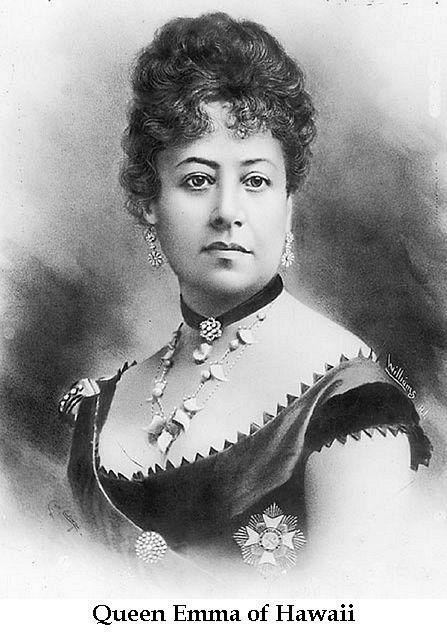 For the rest of her life she remained bitter and did not communicate with King Kalakaua, his wife Queen Kapiolani, or later with Queen Liliuokalani when she assumed the throne. And no, She never forgave Liliuokalani for the attacks on her family during the political campaign. As for Kapiolani, her first marriage was to High Chief Benjamin Namakehaokalani or sometimes called Bennet Namakeha. He was 35 years older than Kapiolani. He was uncle of Queen Emma on her father George Naea's side. This made her the widowed aunt of Queen Emma. Kapiolani was the caretaker of Queen Emma's son, the Haku O Hawaii, Prince Albert Kamehameha when he died in 1862. Queen Emma blamed and never forgave Kapiolani for the child's death because he was under Kapiolani's care at the time. Even after Kapiolani became Queen after she married David Kalakaua, she never forgave her. Thankfully for Emma, her instigation of the 1874 Hawaiian Rebellion is not the lasting legacy of Queen Emma. Her legacy lives on today thanks to her wonderful work back in 1859 while she was Queen. That was when Emma established Queen's Hospital in Honolulu. And yes, it is said that she visited patients there almost daily when she was in residence in Honolulu. Today, it is now called the Queen's Medical Center. As for Representatives William Thomas Martin and William Luther Moehonua, survivors of the attack on the legislative assembly by Queen Emma's supporters, 12 February 1874? Later, King Kalakaua made Moehonua his first minister of the interior and later governor of Oahu. But, because of brain damage he recieved from that brutal attack, Martin did not return to the legislature. The United States Marines ended their occupation of Hawaii's government at the end of February that year, essentially America's involvement in the establishment of a Hawaiian King had ended. My teacher at Kaimuki High School, Mrs DeMello, who was a great teacher of Hawaiian History (Hawaiiana), once said, "If the United States wanted to take Hawaii by force? They didn't need to wait until 1893, they could have done it in 1874." I believe she was right. It was the first time the Marines were called out to restore order and ensure a safe transition of power when assisting the Hawaiian government. As for David Kalakaua, well he took the oath as King of the Kingdom of Hawaii on February 13th. His right to the throne was no longer in jeopardy for the time being. Later King Kalakaua would find further opposition in the way of attempted coup d'etats by a few individuals including his own sister - the woman who would become Queen Liliuokalani. After the riots and the bitter partisanship, King Kalakaua traveling to all of the islands with his wife Queen Kapiolani. He did this to try to gain the trust of the Hawaiian people, while at the same time assuring his subjects with popular proposals that led to an increase in Hawaiian Patriotism at that time. He negotiated a reciprocity treaty allowing Hawaiian goods into the United States duty-free. The Reciprocity Treaty of 1875 allowed for American use of Pearl Harbor in exchange for the elimination of tariffs on Hawaiian goods. The Reciprocity Treaty was something that previous Hawaiian Kings had been unable to accomplish. Hawaii's treaty with the United States granted exclusive trading rights between America and Hawaii. Soon King Kalakaua's reputation grew and he gained a reputation as a man who enjoyed drinking and gambling, parties and dancing, horse racing, sailing and canoe regattas at the Royal Boat House at Honolulu Harbor. He did not like Missionaries, he felt they looked down on Hawaiians and their ways. But that did not stop the King from accomplishing his goals of restoring Hawaii's cultural traits and ideals that had been so demonized by the Missionaries. To their disdain, King Kalakaus brought back the music and dance of the land, hula and the art of the chant. He also attempted to revitalize the Hawaiian language which had been replaced in many quarters by English. Above all else he tried to reverse the dwindling Native Hawaiian population by encouraging births and staying in Hawaii. Many of the Native Hawaiians had been leaving Hawaii for opportunities elsewhere for many years. The bloodlines of the Hawaiian people was being mixed with those who were being brought there. By the time of King Kalakaua, Hawaiians were becoming more and more a mixed race. The King wanted to reverse that, but simply couldn't. Though he had became extremely popular during his 17 year reign, it's also true that his administration licensed the sale of opium, created a lottery, and even tried to mint Kalakaua coins to use in lieu of the English pound or the American dollar. Some of these things were not always popular with the Hawaiian people, but business in Hawaii flourished. At the same time this was going on, the King's powers were weakened due to so-called "Reformists" who worked to undermine the monarchy. These people eventually took control of the Hawaii legislature. 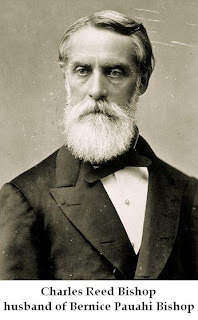 On June 30, 1887 a meeting of residents including the armed militia of the Honolulu Rifles and politicians who later formed the Reform Party of the Hawaiian Kingdom demanded King Kalakaua dismiss his cabinet headed by the controversial Walter M. Gibson. The meeting was called to order by Sanford B. Dole, and chaired by Peter Cushman Jones. Lorrin A. Thurston prepared a list of demands to the king. The meeting also insisted a new constitution be written. The next morning, on July 1, 1887, a shipment of arms was discovered - although they were later found to be nothing more than smooth-bore hunting guns used to scare bird from farmers' fields. The Honolulu Rifles took control and arrested Gibson. Kalakaua in return called in US Minister George W. Merrill, and the British, French, Portuguese and Japanese representatives and requested help. They all suggested he comply with any demands, which he did. Thurston then became the powerful interior minister, although Englishman William Lowthian Green was nominally head of the cabinet as minister of finance. Over less than a week, the new constitution was drafted by a group of lawyers including Thurston, Dole, William Ansel Kinney, William Owen Smith, George Norton Wilcox, and Edward Griffin Hitchcock. Most were also associated with the Hawaiian League, which was actually in favor of ending the Kingdom and annexation by the United States. Kalakaua signed the document July 6, 1887, despite arguments over the scope of the changes. Basically, what the new Constitution did was create a Constitutional Monarchy like that of Great Britain. It essentially striped the King of most of his personal authority, and empowered the legislature and cabinet of the government. It has since become widely known as the "Bayonet Constitution" because of the threat of force used to gain Kalakaua's cooperation. At the time Kalakaua had been forced to sign the constitution under threat of arms, military rifles were commonly fixed with bayonets. King Kalakaua was essentially stripped of much of his authority. King Kalakaua was reduced more or less to a figurehead. To add to King Kalakaua's problems, in 1887, his sister, Liliuokalani, charged Kalakaua with cowardice. Then a conspiracy by R.W. Wilcox, C.B. Wilson, Sam Nowlien demanded that King Kalakaua abdicate the throne in favor of sister Liliuokalani. Yes, it's true. In April of 1889, his sister, Liliuokalani, planned an insurrection for another revolution following the revolution of 1887. In July 30, 1889, Wilcox and 150 armed men occupy the Palace and attempts to have Kalakaua proclaim that the 1864 Constitution was to replace the 1887 Constitution. Supporters of Kalakaua took up arms against insurgents. Volunteer riflemen turned out to support the Government in what was called the Missionary Party. A legation was on hotel premises where Mr. Merrill, the U.S. Minister requested a contingent of U.S. Marines to be landed for a day. 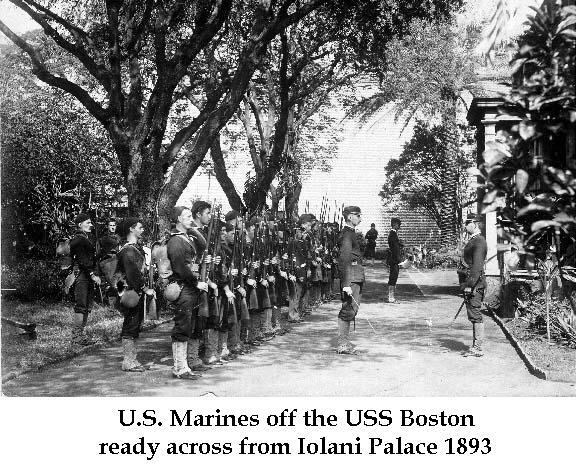 U.S. Marines from the USS Adams went ashore again to support King Kalakaua and re-enforce Iolani Palace. Soon a duel between the insurgents and volunteers begins with artillery and rifle fire, by evening the fighting ends and the insurgents surrendered. It was reported that United States Marine sharpshooters made the difference and kept the attempted coup by his sister Liliuokalani from succeeding. On June 17, 1890, Kalakaua made conservative appointments of J.A. Cummins, C.N. Spencer, Godfrey Brown, and A.P. Peterson a Royalists to his cabinet. Some say that other than maybe King Kamehameha the first, King Kalakaua who was known as the Merrie Monarch remains the best known and loved of Hawaii's Kings. Fact is that he had prepared himself to rule. Though not of Kamehameha bloodline, Kalakaua was educated, wise, and comfortable with both the Hawaiian and the Western cultures. He understood and respected both ways of life. He reigned for 17 years until his death on 20 Jan 1891. He decided to take a trip to San Francisco to visit America and improve his health. The great King died of a stroke, kidney failure, and liver cirrhosis. 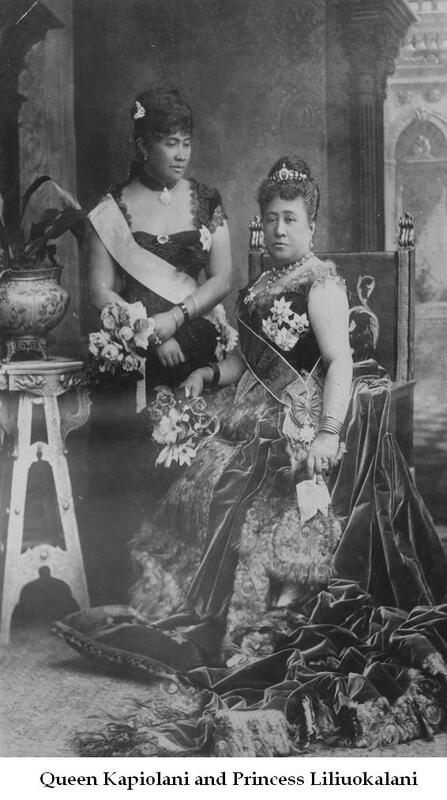 In keeping with King Kalakaua's wishes, o January 29, 1891, his sister Liliuokalani becomes Queen. Immediately she appoints C.B. Wilson as Marshal of the Kingdom. And almost immediately C.B. Wilson begins a Kingdom scandal by openly supporting opium smuggling. Her monarchy is faced with scandal after scandal, and attempted coup after attempted by other Hawaiians, then revolution, all one after the other. Yes, her reign reads like a road map to abdication. The only question: "To who?" Hawaiians were trying to overthrow her, just as her own cabinet would in the end. On March 1892, native Hawaiians conducted an abortive revolution led by the Ashford brothers and her former fellow conspirator R.W. Wilcox of the Liberal Party. Ironically, Liliuokalani supported R.W. Wilcox in an earlier attempted coup against her own brother King Kalakaua. While Wilcox was unsuccessful in his effort to overthrow Queen Liliuokalani, he would change sides later as he did many times in his life. R.W. Wilcox was a Native Hawaiian member of the Royal family who led uprisings against both the government of the Kingdom of Hawaii under King Kalakaua and Queen Liliuokalani, as well as the Republic of Hawaii under Sanford Dole -- what are now known as the Wilcox Rebellions. As for Wilcox, believe it or not, that Native Hawaiian was a man who would switch sides at the drop of a hat. He was a supreme opportunist. And believe it or not, the traitor to King Kalakaua and Queen Liliuokalani, and the Republic of Hawaii, was the man who would later be chosen as the first delegate for the Territory of Hawaii to the United States Congress. Imagine that! For the Queen who once tried to overthrow her brother, since karma has a habit of coming around full swing, her fate would be just that. On August 30, 1892, that was the day that the first introduction of the "Lottery Bill" that was supported by C.B. Wilson, the appointed Kingdom marshal, and the bill was tabled due to strong opposition by the legislature. On September 1892, Liliuokalani and the Hawaiian legislature were deadlocked on control because of differences on the opium and lottery bills. Three separate cabinets in succession were voted out by the legislature because they believed the cabinets were in sympathy with C.B Wilson who was the Kingdom’s Marshal. In 1892, the so-called "Annexationists" feared that if Queen Liliuokalani died and Princess Kaiulani took control -- Kaiulani's father was Archibald Cleghorn, governor of Oahu, a Scotsman -- then she would bring a strong British influence into the palace. Wodehouse, the English minister, his son had married a half white sister of Kaiulani and several other sons held important political jobs. Later in 1892, Queen Liliuokalani yields to pressure and appoints a conservative cabinet of G.N. Wilcox, P.C. Jones, Mark Robinson, and Cecil Brown. That didn't last very long, and by January 9, 1893, Liliuokalani dismisses the G.N. Wilcox cabinet. And yes, she received strong opposition from the legislature relating to the lottery and opium bills, and to a new Constitution. Her response was to then appoint a new cabinet with John Colburn, W. Cornwell, Sam Parker, and Arthur Peterson -- all under intense public indignation. On January 12, 1893, the lottery and opium license bills approved by the legislative body. The new cabinet was voted out, the lottery and opium bills approved after neighbor island legislative members, who opposed the bills, returned home. On January 13, 1893, Liliuokalani announced the presentation of the new constitution and schedules a public announcement of the new constitution for January 14, 1893. On January 14, 1893, Queen Liliuokalani proposes to promulgate a new constitution that would give her powers of virtually absolute monarch not seen since Kamehameha The Great. She would take control of legislative, judicial as well as executive branch of government. Less than two years later, in 1893, Queen Liliuokalani announced plans for a New Constitution. Many in Hawaii saw this as too much intrusion by the government, and that was when a group of mostly European, American, Hawaiian business leaders and residents who formed a "Committee of Safety" with the mission to overthrow the Kingdom and seek annexation by the United States. United States Government Minister John L. Stevens, responding to a request from the "Committee of Safety," and requested that the a company of Marines aboard the USS Boston be sent to the palace. So again the United States Marines were called out. But this time, the Marines stationed themselves across the street from the palace grounds. Unlike 1874, in 1893 the U.S. Marines did nothing! They just sat there at the ready, waiting for instructions. It's true, compared to the Marines who took over all of the Hawaiian government in 1874, the Marines that landed were half the size as needed in 1874 -- and those Marines did nothing but sit camped across the street from Iolani Palace for two weeks before returning to their ship. There were 162 United States Marines, and a handful of Sailors, who came ashore. All of course were battle ready, but they were also under strict orders to assume a "position of neutrality" to what was considered a fluid situation. Unlike in 1874, this time the Marines did not ever enter the Palace grounds or take control of any government buildings what so ever. In fact, unlike in 1874, this time the U.S. Marines did not fire a single shot. Some say they effectively intimidated the Queen and the Hawaiian royalist defenders, who in fact completely outnumbered the Marines. Fact is, they were numbered at over 500 men -- so essentially they out numbered the U.S. Marines by 3 to 1. The Hawaiian royalist defenders were under the command of the Marshal of the Kingdom Charles Wilson. They could have gone to battle for Queen and Country, but they didn't. If the Marine there were being used as an intimidation force, then it obviously worked because Queen Liliuokalani resigned peacefully. There are others who believe that since the Marines were there under strict orders to assume a "position of neutrality," that they were there for the same reason as they were almost 20 years earlier. I believe that was the case. I believe that the Marines again landed there by request of the Hawaiian government -- whoever was in charge at the time -- to put down any riot and re-establish order if need be just as they were requested to do in 1874. It is interesting how Hawaiian history shouts about how that United States Marines were supposedly the factor used to oust Queen Liliuokalani, but never a word is said about how United States Marines helped install, without question, the most popular monarch in Hawaiian History. As far as I'm concerned, looking back at when this first interested me, I can say without hesitation that my High School Hawaiiana teacher Mrs DeMello was absolutely correct when she said that the United States did not have to wait until 1893 if they indeed wanted control of the Hawaiian government. She asserted that the United States already had complete control of the Kingdom in 1874. It is too bad history books do not tell the story of how the United States took possession of Hawaii -- then handed to their King-elect. 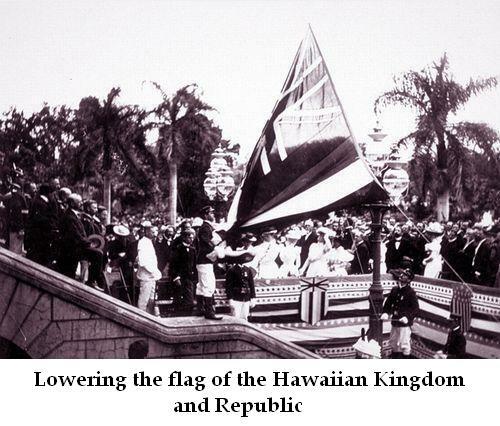 Just as the United States did not have to make plans to invade Hawaii to reestablish the Monarchy in 1895 during what has became known as Black Week, the United States did not have to wait to make Hawaii a U.S. territory until 1898 when the Republic of Hawaii formally requested annexation. Fact is, if there was a time when the United States could have kept control of the Hawaiian government, it was in 1874 when they had complete control of the government -- but gave it back. My teacher Mrs. DeMello was also right about something else: The Merrie Monarch, King Kalakaua, can thank his throne to United States Marines. And yes, I agree because that's the way I see it as well. and also my book "Hawaiian Apartheid: Racial Separatism and Ethnic Nationalism in the Aloha State"
I was surprised that your discussion of Queen Emma's lineage failed to mention that her grandfather (mother's father) was John Young, a British sailor who became the closest advisor to Kamehameha The Great. So Emma was in fact 1/4 Caucasian, which is why Kalakaua made a campaign issue of it and viciously and publicly attacked her genealogy as being unsuitable to become reigning monarch. Young taught the King's warriors how to use guns and cannons and led them into battle, which was the main factor in Kamehameha's ability to take over all the Hawaiian islands which had never been done before in over a thousand years. He was named Governor of Hawaii Island, given a house right next to the great sacred human sacrifice heiau Pu'ukohola, and was given one of Kamehameha's daughters as his wife. Young's bones are the oldest in Mauna Ala (Royal Mausoleum). His tomb designed in the shape of a miniature heiau (ancient Hawaiian stone temple), perhaps 6 feet wide and 12 feet long, composed of carefully fitted large lava rocks sloping to form a truncated pyramid, with a flat top composed of small lava rocks. In the center of the top is a white stone tablet deeply engraved with the words below. I have taken care to copy small and capital letters, and punctuation marks and line breaks, exactly as they appear. Each line is centered left/right. The tomb is surrounded by a chain to bar access; and is guarded by a pair of pulo'ulo'u (sacred taboo sticks). in the 93rd year of his age. John Young's son had the Hawaiian name Keoni Ana (John Junior) and he became Kuhina Nui of the Kingdom, whose signature was required next to the King for any law to become official -- there are only two signatures on the second Constitution of the Kingdom in 1852: Kamehameha Rex (King Kamehameha III) and Keoni Ana. Keep up the great work exploring Hawaii's history, and defending the role of America in it. Are You Ready For Jay Leno's Questions? I miss Country Western Music! Those Who Do The Job - Cowboy Up! Weiner: Mentally Unstable or Just Arrogance?